What is mediation and how does it work in foreclosure cases? Mediation is a process of guided negotiations. A neutral individual, called a mediator, works with the parties to a mortgage, with or without attorneys, in a discussion of their problem. The talks are an effort to resolve the issue with the mortgage by mutual agreement before it reaches a default judgment or foreclosure sale. The mediator has no authority to make a decision. The mediator serves as a discussion leader to help the participants negotiate more efficiently, and, hopefully, reach an agreement sooner than they could on their own. A mediator is an independent, trained neutral, who works like a diplomat to help people settle disputes. A mediator does not have to be but is frequently an attorney. However, even when the mediator is an attorney, they cannot give legal or financial advice to either side. The Clermont County Common Pleas Court has an approved foreclosure mediator on staff for all pending foreclosure cases. Where are foreclosure mediations held? 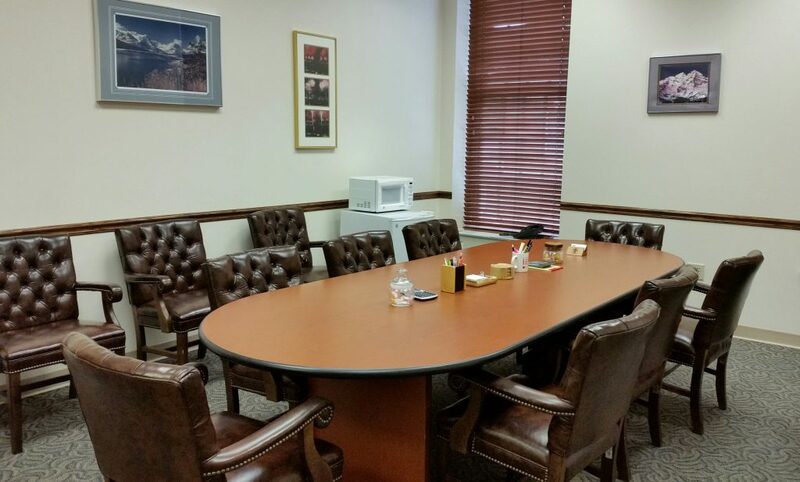 Foreclosure mediations are held in the conference room next to Courtroom 205, second floor of the Courthouse, 270 East Main Street, Batavia. When you get to the Courthouse, you will enter through the security screening, go to the second floor public lobby by stairs or elevator, turn left, and take the long hallway all the way to the far end of the Courthouse. Courtroom 205 will be straight ahead at the end of the hallway. The conference room will be the last door on your right before the courtroom. Why should I bother to mediate my mortgage problem? Many difficulties with mortgages, while a foreclosure case is pending in court, can be resolved through reasonable discussions. An experienced mediator can help the parties find a creative solution that they may have overlooked. Because mortgage lenders don’t want to own houses, they are generally willing to talk with a borrower about reasonable, practical solutions to bring the mortgage current. Mediation, with the chance to talk privately with the mediator, has a better opportunity to reach a resolution than a possibly tense or difficult one-on-one negotiation. How is mediation different than some of these “debt relief” services I see advertised? Many debt relief services are actually scams where the “service” charges you a hefty monthly fee, but provides little or nothing in return. No “debt relief service” is going to pay your mortgage for you or reduce your monthly payments. However, the mediation of a foreclosure problem in a court based program gives everyone, the lender and the borrower, the chance to talk candidly and openly about the current problem with the mortgage, and look for a long-term solution that satisfies everyone. Perhaps the loan can be extended, the interest rate amended, or a homeowner given more time to catch up on overdue payments. Mediation can lead to an agreement that both sides find fair and workable going forward. Do I have to pay for the mediation? No. The mediator is employed by the Clermont County Common Pleas Court, and there is no charge for the mediation conference. No. All the mediator can do is help the parties and attorneys look at the dispute more objectively, discuss various options for a workout of the mortgage, listen to each side privately, and assist the participants in finding a mutually acceptable solution. A mediator makes no decision, judgment, or recommendation on the outcome. Where can I get help with my mortgage before the mediation? A place to start is the “Save the Dream” project at http://savethedream.ohio.gov/. This web site will give you general information on foreclosure matters and how to respond if you are sued in foreclosure. That site has a convenient workbook at http://savethedream.ohio.gov/docs/MortgageWorkbook.pdf. The Supreme Court of Ohio has resources on foreclosure mediation at http://www.supremecourt.ohio.gov/JCS/disputeResolution/foreclosure/default.asp. A homeowner with a problem involving their mortgage should speak with a HUD certified housing counselor, available in Clermont County at http://clermontsaveourhomes.org/. Next to nothing. The mediator will only tell the judge whether or not the case settled. Discussions in mediation are inadmissible at trial under Evidence Rule 408 and the Uniform Mediation Act as adopted in Ohio. Even if the lawsuit goes forward after mediation fails to reach a settlement, the mediator is still subject to the obligation to disclose nothing about the mediation discussions. No. A mediation is not like a trial, court hearing, or arbitration. While the attorneys, parties, and the mediator will discuss the situation, there are no witnesses, no testimony, no exhibits, no objections, no cross examination, and no arguments. You may bring documents that relate to and explain the situation surrounding your mortgage and your financial circumstances. It is important that you submit the requested workout packet to your lender or your lender’s attorney BEFORE the mediation. The information in the documents forms the important factual basis for the discussions at the mediation conference. No. There is no witness stand and no testimony. Because mediation is a focused negotiation process, the mediator uses a courthouse conference room, but everyone sits at the table as equals in a discussion format. The lenders generally participate by speaker phone. You will be expected to listen, participate in the discussions as appropriate, and make decisions about how to negotiate, and whether or not to settle. No. The mediator is not there as a judge, jury, or arbitrator of the case, or as an advocate or advisor for either side. It is important that you analyze and reasonably evaluate your own financial situation and the benefits of working out possible new terms for a mortgage. The mediator may point out certain problems to each side, but this is just part of looking at the case objectively. The mediator, the attorneys, and the parties will also discuss resolution alternatives plus the costs and drawbacks of going forward with foreclosure litigation as compared to the benefits of settlement. Generally yes. A representative of the mortgage lender, with authority to settle, and the current property owner(s) should be at the conference and prepared to negotiate. Telephone participation is permitted by prior permission of the Court or the mediator. During the course of the mediation, the mediator can meet separately as needed with each side for private, more candid discussions. What options can be discussed at a mediation? The parties in a foreclosure mediation can consider and discuss many options for resolution, including but not limited to a forbearance plan, modification of the interest rate, conversion from an adjustable rate mortgage (ARM) to a fixed rate, deferring certain costs or payments to the end of the mortgage, loan modification, waiver of fees or expenses, deed in lieu of foreclosure, a short sale, deed and lease back, special payment arrangements, extending the term of the mortgage, assistance from a state or federal agency, or any other practical mechanism for solving the current problem. How is a mediator different from a HUD certified housing counselor? A HUD certified housing counselor, working with a non-profit agency, is an advisor to a homeowner who offers information and guidance about mortgage assistance programs, personal budgets, and options to work out the mortgage deficiency. The counselor can also negotiate on behalf of the owner with the lender or servicer to achieve a resolution. A mediator works with both parties in a discussion process and does not advise or negotiate for either side. Can I bring my attorney to the mediation? Yes. Under the Uniform Mediation Act, a party in mediation can bring their attorney or any other support person to the conference. Any party seeking a continuance of a mediation conference must file a written motion with the Clerk of Courts giving their reasons for wanting a continuance. Any party trying to get a continuance should consult with the other parties first. The assigned judge or the court mediator will rule on the motion. What if I just want to give up the house and walk away? Giving up your house in the face of a foreclosure case is a serious decision and one that should not be made lightly. Returning the ownership of a mortgaged property to the lender is called “a deed in lieu of foreclosure”. The parties to a foreclosure can still mediate about such issues as when is the house to be turned over, when does the family have to move out, and what other money obligations exist as part of the deed in lieu of foreclosure arrangement. Every citizen has a right to seek a fair hearing in court, but you should consider that a trial is not the only legal choice available. Foreclosure cases rarely, if ever, go to trial. Almost always, the judge decides a foreclosure case based on written motions filed by the lender with the court. Each side should thoroughly discuss every factor in the current situation before making the important choice to settle with new terms or go to a foreclosure proceeding. Mediation is an opportunity for both sides of a case to explore settlement possibilities without risk or penalty, and with the aid of a trained mediator. If the parties cannot settle at the mediation, several things might happen. The parties or attorneys may agree to negotiate further later on, the homeowner can continue to work with the lender’s loss mitigation department, or the mediator can schedule a follow-up mediation. Or the case might ultimately go forward in court. There is no penalty or extra cost for using mediation.